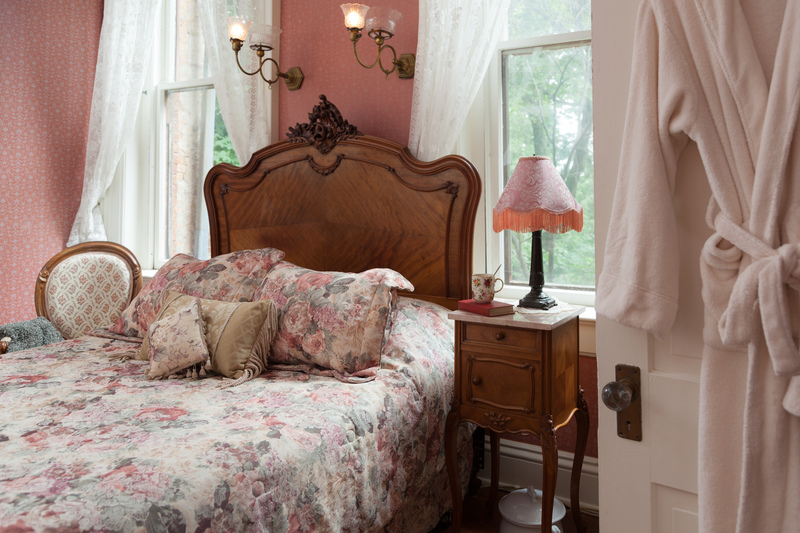 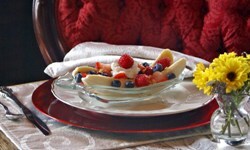 The Vrooman Mansion is a bed & breakfast inn located in the heart of Bloomington/Normal, Illinois. 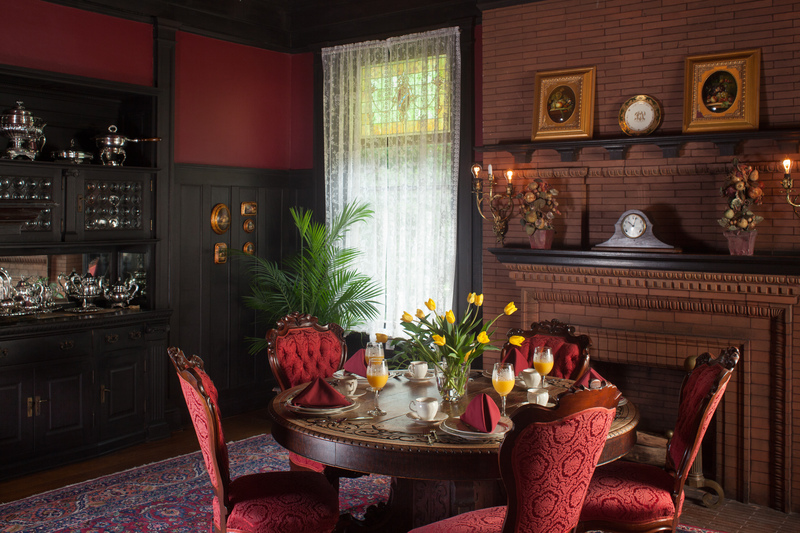 The Vrooman Mansion is a historical estate situated in the quiet neighborhood of Dimmitt’s Grove and offers the utmost in privacy and luxury. 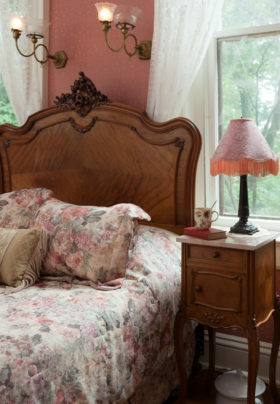 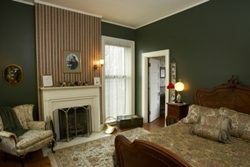 This bed & breakfast allows guests to explore the fine restaurants, shops, and attractions of Central Illinois while providing a welcoming and comfortable home base. 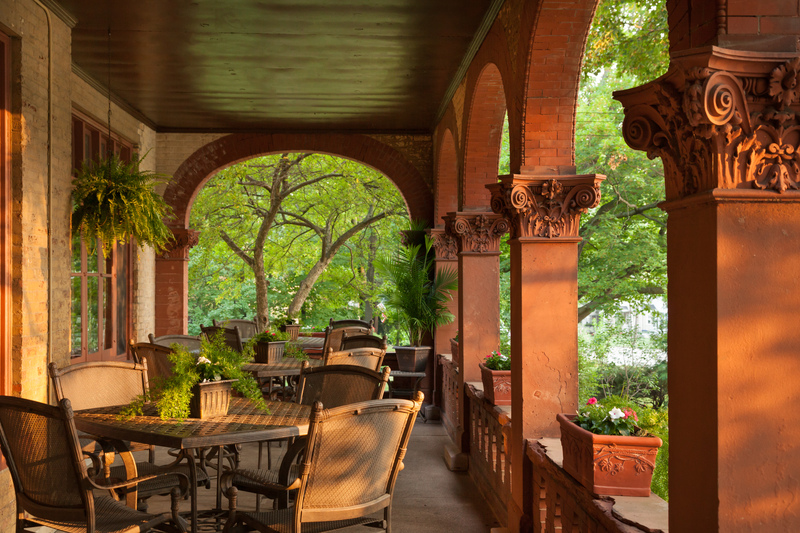 Guests can choose from a myriad of activities offered by the surrounding communities – as long as they can pull themselves away from their luxurious accommodations. 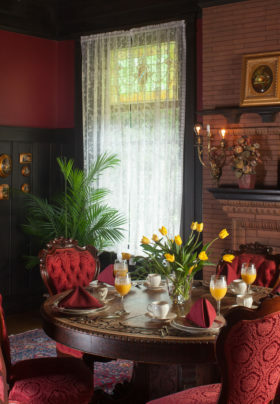 Because of its central location-just off of I-55, I-74, Route 39 and Historic Route 66 – the Vrooman Mansion is a great place for friends and family to meet. 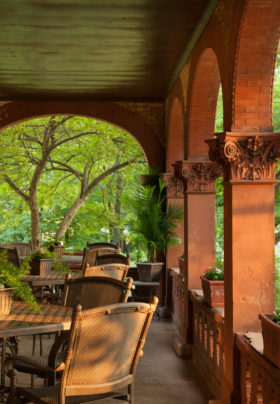 In addition, its relative proximity to the larger cities of Chicago, St. Louis, and Indianapolis makes for an ideal weekend getaway for city dwellers.